Seen here is the Esperanza Silk Blouse in PUMPKIN, a matching Sharon Nam corsage and Button Ups in INDIGO denim with brass feature buttons. This is a chic smart casual ensemble that can be worn throughout the day and into the eve. 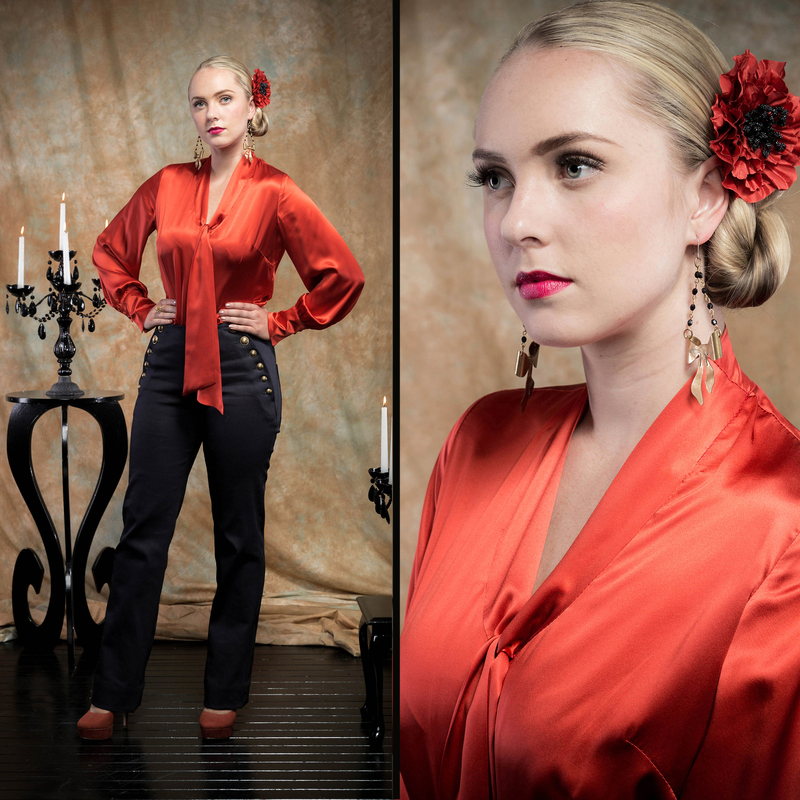 The Esperanza Blouse is a luxurious yet understated silk satin shirt, with subtle details such as covered buttons and front-ties. Bella is also wearing a Sharon Nam silk corsage and Ghost & Lola earrings…available at Sprinkle Emporium.